An off-grid solar power system captures energy from sunlight and stores it in a battery bank for use in a structure which is beyond the reach of the main power grid. Using solar panels to create an elecrical DC current, this current is then routed through a solar charge controller which ensures proper charging and prevents overcharging and helps to “float” the battery bank, meaning to keep the charge topped-off. The current is then directed to the battery bank for storage and later use. 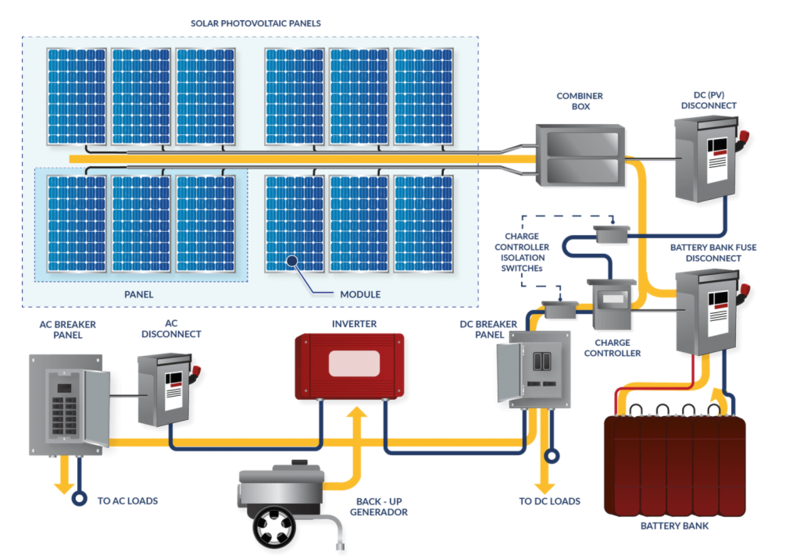 An off-grid solar system has to be sized properly to support daily power needs and replace the stored energy pulled from the battery bank.